Great day up at the log circle area a couple of weeks ago. We were joined by Sasha from “Wild Spirit” (web link here), who helped us create a wood henge structure which is the base, above which we suspended a parachute canopy giving us an event shelter. 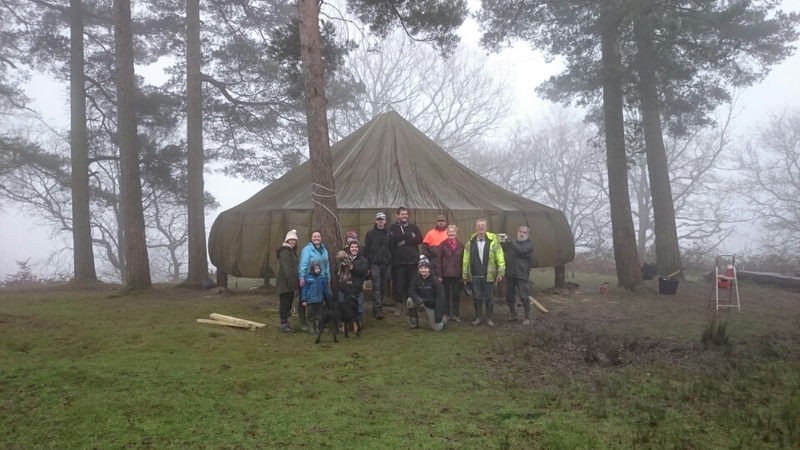 The structure is planned to be permanent with the canopy being put up only when required and is located by the log circle, forest school and ‘office’ portacabin – all part of the woodland dedicated to host and coordinate events. It is hoped that we will make regular use of this excellent facility for such things as outdoor school activities, social events, gatherings etc. Let us know by contacting us here if you have any questions about the facility or are interested in using it. Do be aware, any events held there will need to be supervised by a trained woodland representative for insurance purposes so events will need to be pre-arranged. 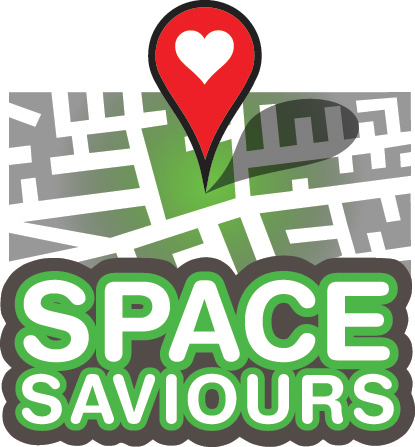 The project has been funded by grant support and advice from Rhianon Trimm of “Space Saviours” (web link here) – an organisation aiming to make the most of the open spaces within our communities. See their website . A special thank you to all those who worked so very hard to complete the job in one day.